My son is rebuilding what we think is a 1955 M38A1. 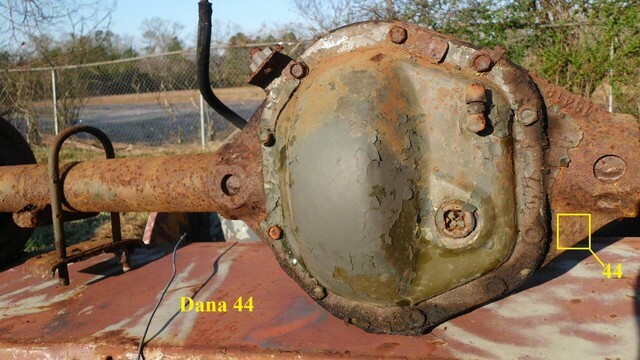 I say think since we are now at the rear axle and it's clearly not a Dana 44 but a Dana 41 in this thing.The front axle is the standard Dana 25 and yes the ratio's are the same. Anyone have suggestions for the DMFH? 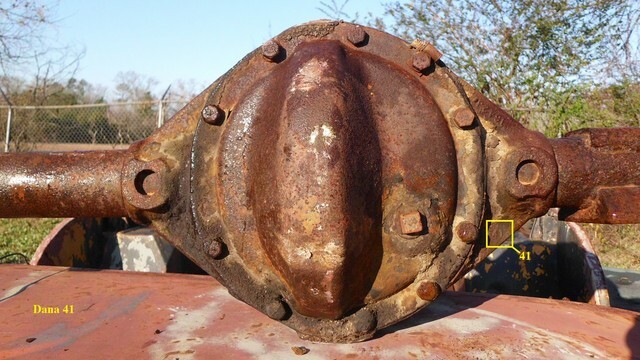 WE thought axles in 1955 would have been the DANA 44 so not sure if it was common to have a replacement axle with the Dana 41 yet be later n the 1955 time frame. You say the gear ratio matches the front's 5:38-1? You are sure it's not a Marine Corp Posi axle? The 41 was not used in the M38A1 by Willys/Kaiser. Someone swapped it in. Probably after it became a civvy jeep. My M38 has that same rear axle, for what it’s worth. Sorry just getting back to this post. Yes it's the 41 as shown with the ridged center cover and all. It potentially could be a marine corp unit. I'll have to take a closer look. I suspect it may have been replaced with some available unit as there are several Bubba mods we have had to deal with. Other than the POSI unit inside is there any other indication? It's been cleaned up and painted awaiting the frame and suspension components to be addressed next. The body on this thing was beyond gone. One of these purchases where I told my son it's going to cost more in spare parts than it's worth but he has a soft spot for anything military! Anyway we have the engine, trans, transfer case, front and rear axles gone through. Brakes are all new and next is frame and suspension. Definitely not going to be like it rolled off the assembly line but it will be as close as his budget and ambition allows. Any info on the rebuild tag? Would like to decode the letters if possible. .ps 4x4M38 were also in Central Texas so hope to run across you some day once thins thing is cleaned up. At the pace it's going it will be at least 6 more months if not more! The mdl 41 axle is definately a post military civvy substitution. The Marine Trac Loc Posi's were Mdl 44's. Let me know if you are looking for any random stuff.